Cut it out, we’re introducing the bootie of your dreams! Whether it’s a printed mini or BF shorts, this vampy pair will give you the little extra edge that you need! RISE ABOVE features a peep toe, cylinder heel, v-cutout and a lightly padded insole for comfort. Available in Black and Blush. I like to see how things hold up and these shoes are amazing! I wore them for a day in the office and they didn\'t hurt my feet at all! THESE ARE THE CUTEST. If you\'re considering buying them... just do it! They\'re so cute. And SO stylish. I stand all day and these shoes are just awesome. 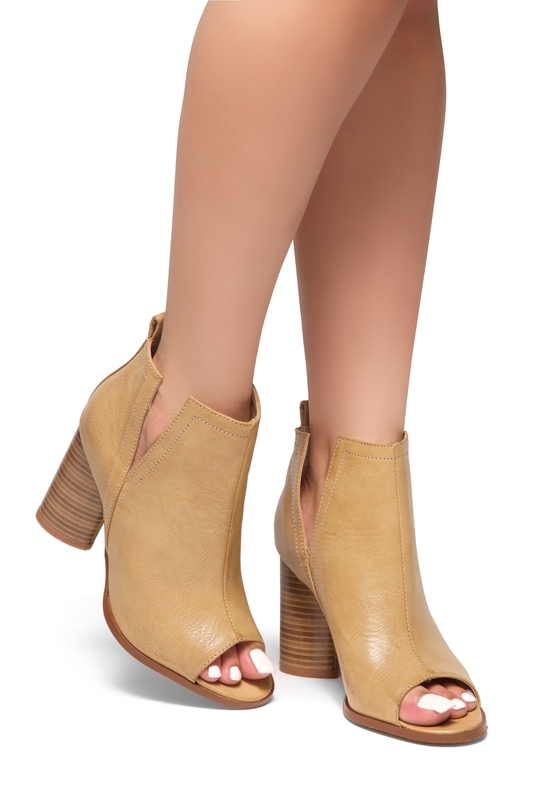 I love this cut-out booties and it is so comfortable and great quality for a reasonable price! Thumbs up!